With the focus of the mobile world on upcoming Android launches, things have been relatively quiet over at the Apple camp. Given its preference to dedicate events towards sole product launches, Apple has started to struggle to balance all of its products in one fiscal year, with several gadgets such as the iPad Air 3 waiting for upgrades. Speaking of the iPad Air 2‘s successor, things might get better for those who’re waiting for the tablet we’ve learned today. Head on below to find out more. Apple’s upcoming March event has quite a few expectations stacked as of now, with the Cupertino company expected to launch the next iteration in its Apple Watch lineup and an all new 4 inch iPhone 5se. But these devices really don’t match up to the top tier brand that the company believes itself to be. All of this could change with the launch of the iPad Air 3 in March as well as an update to the lineup has been due for quite a while now. The iPad Air 2 was a very well executed product as the tablet managed to breathe fresh interest into Apple’s tablet lineup. The overall design of the device, coupled with the A8X on board managed to provide top tier performance with aesthetics to boost and Apple chose to launch the 12.9 inch iPad Pro as a result. 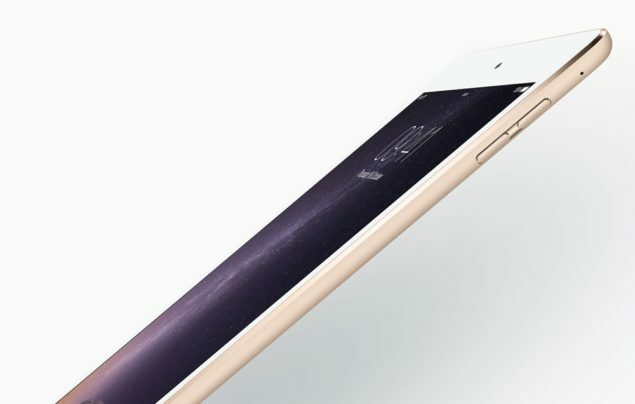 Now, in March we should expect the iPad Air 3, coming potentially with the A9X on board. As to what changes the device might be bringing in terms of design, according to some highly susceptible speculation, the iPad Air 3 should be expected to follow its larger cousin. 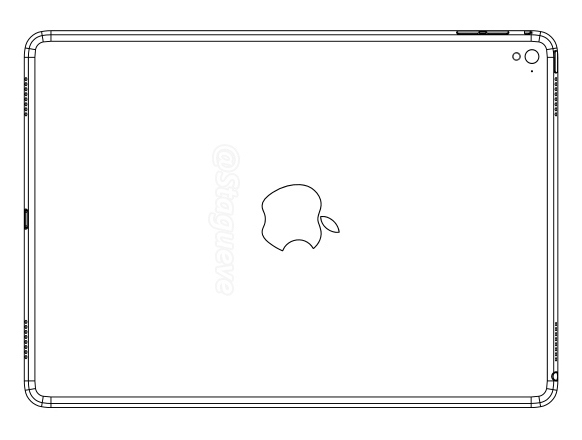 A sketch obtained by long time leaker Steve, of NWE, claims to show the iPad Air 3 and there are several changes on board this image as well. Two major ones are the presence of four speaker panels and a camera flash, both of which stress at the increasing importance of multimedia in the iPad, as well as tablets all around. That being said, the sketch above could be a reproduction of the iPad Pro as well, so nothing can be said concretely about the tablet’s design. There’s been a mention of the Apple Pencil as well, so we could end up seeing a more uniform approach from Apple towards its top tablet lineup. Apple’s March event is also expected to debut the iPhone 5se and the Apple Watch 2. The former has managed to gain an impressive roster of specifications, with the Apple A9, NFC and other features on board, making it an impressive offering in the smaller screen smartphone segment. The latter is expected to receive limited focus, with software upgrades to also get some facetime. Thoughts? Let us know what you think in the comments section below and stay tuned for the latest updates.